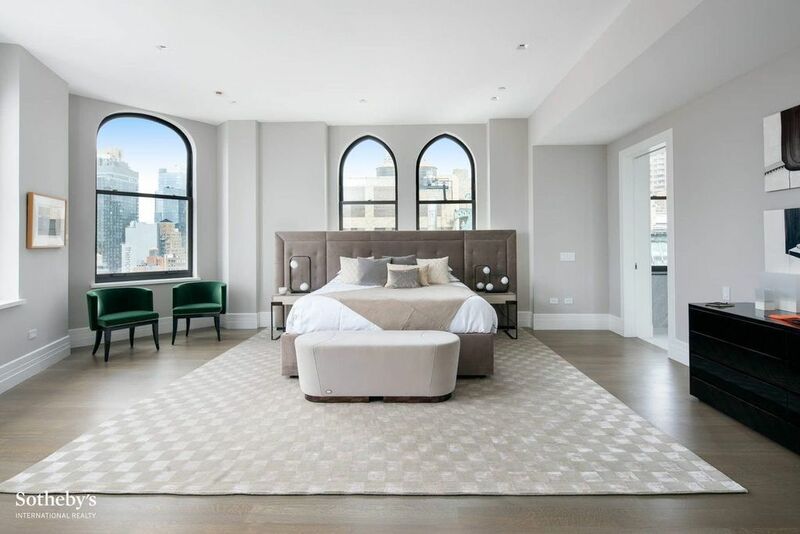 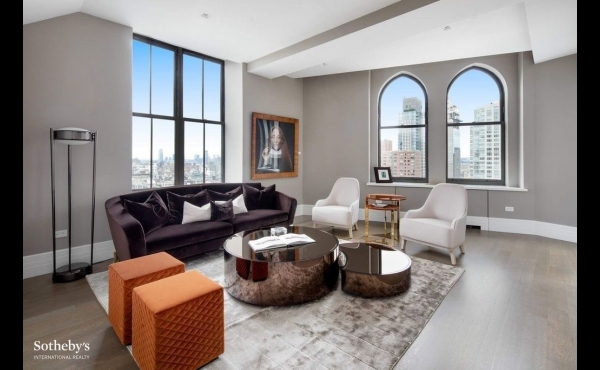 With four exposures providing 56 of frontage along the Park and vistas of downtown Manhattans most coveted architecture, the pre-war details inside are equally matched with the iconic views revealed by its elegant arched windows. 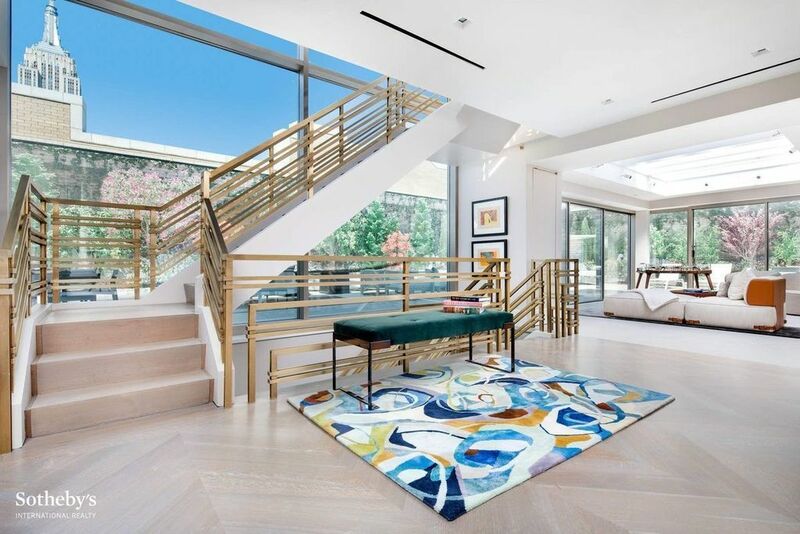 The foyer opens into a dramatic atrium with its breathtaking bronze staircase as its centerpiece. 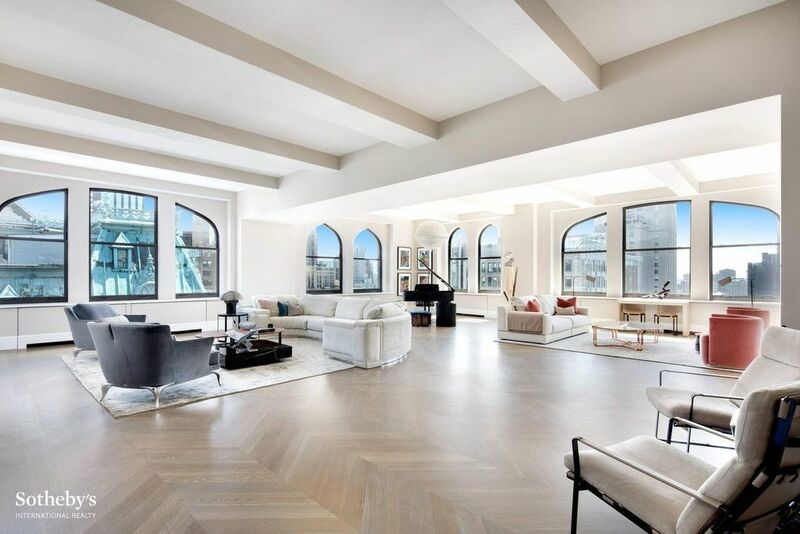 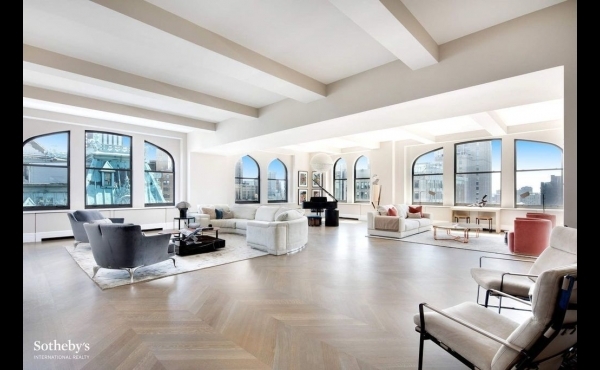 The Crowns ceiling height, coupled with its gallery-sized walls, make this penthouse an art collectors paradise. 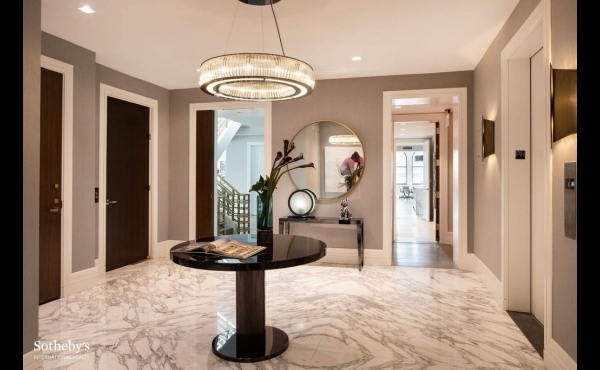 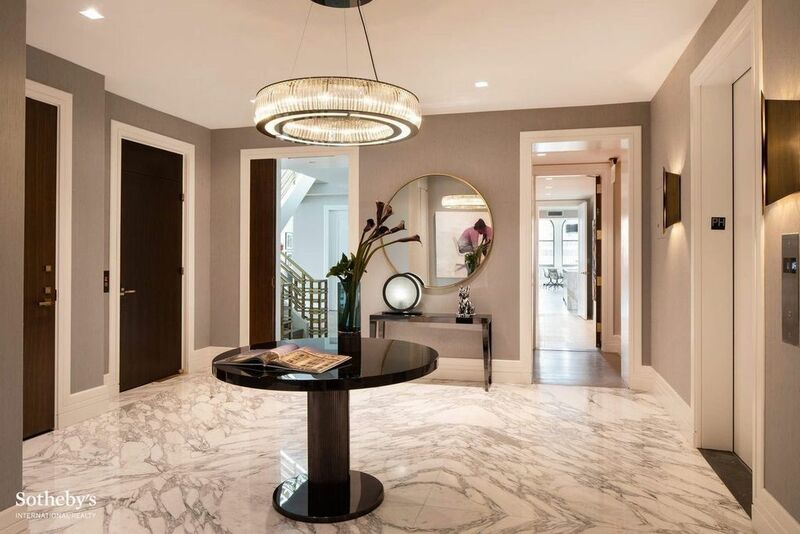 From the marble foyer with its private elevator, to the unrivalled grand ballroom, to the library with a marble and glass fireplace, to the sumptuous 7-room master suite every detail was considered in its conception. 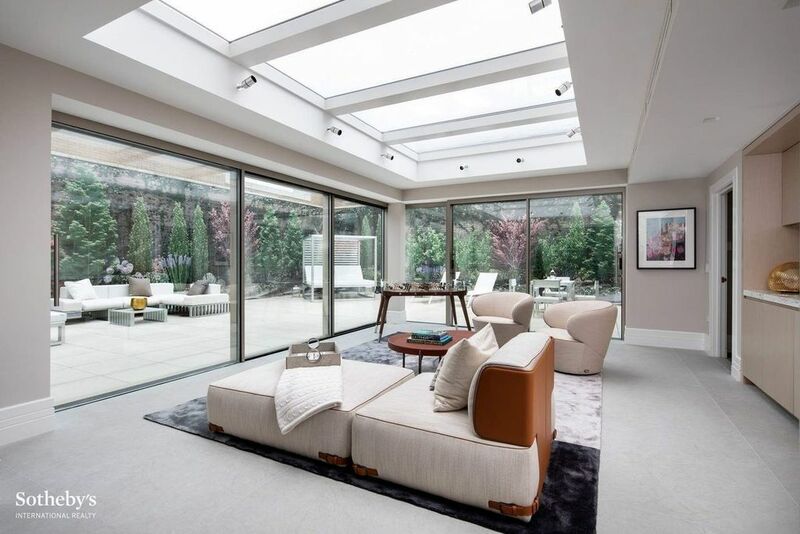 The second level boasts a sky-lit entertaining space and colossal outdoor oasis extending the full length of the building. 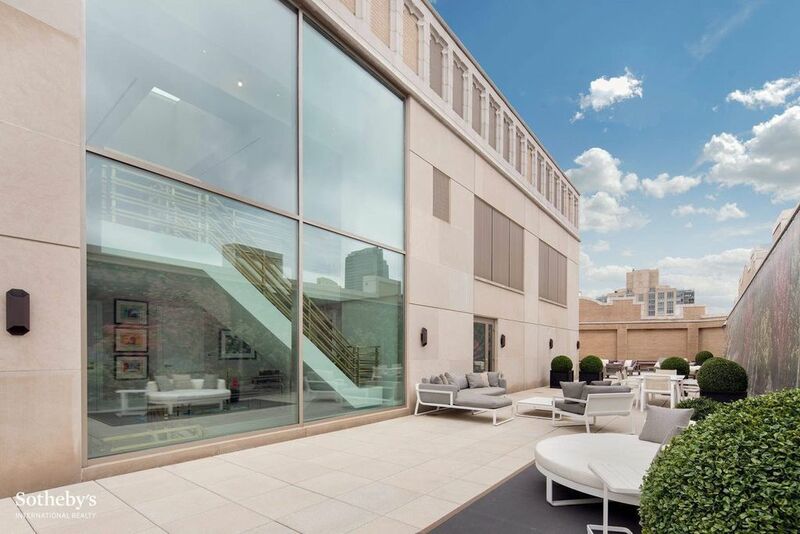 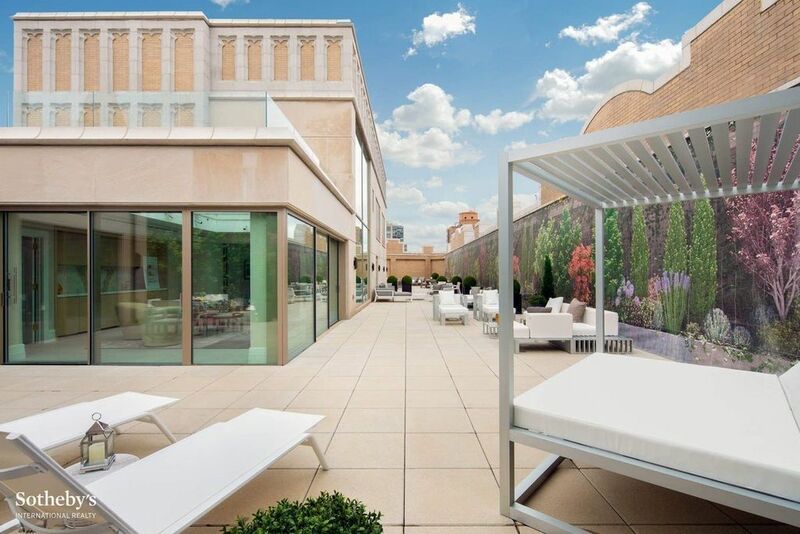 The 4700+/-SF terrace, with its copper molding and painstakingly constructed parapet provides unmatched privacy. 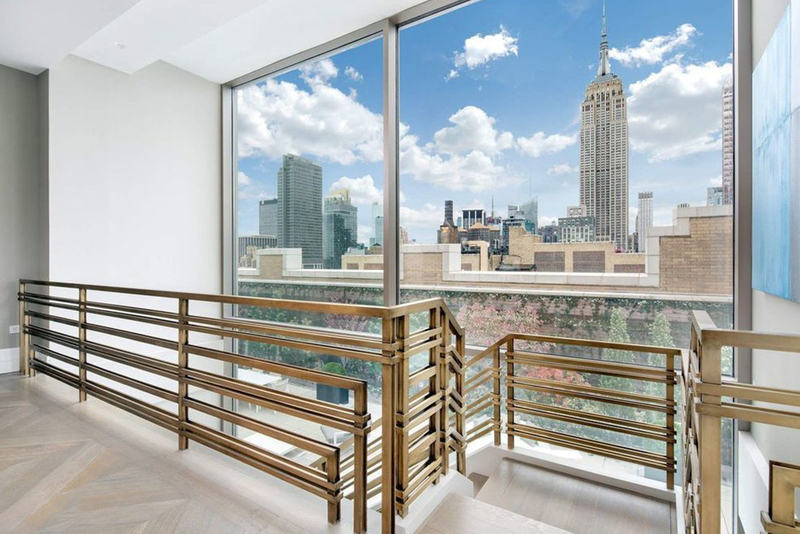 The third-floor observatory opens onto a 950SF terrace with spectacular panoramic views of the Empire State Building, Flatiron Building and World Trade Center. 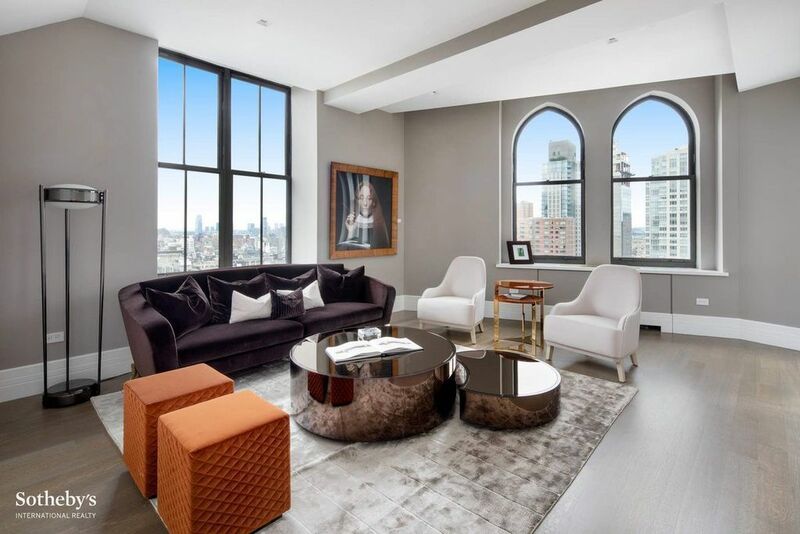 All the finest quality materials, smart home technology and luxury amenities were incorporated to create a regal lifestyle for the first owner of this outstanding residence. 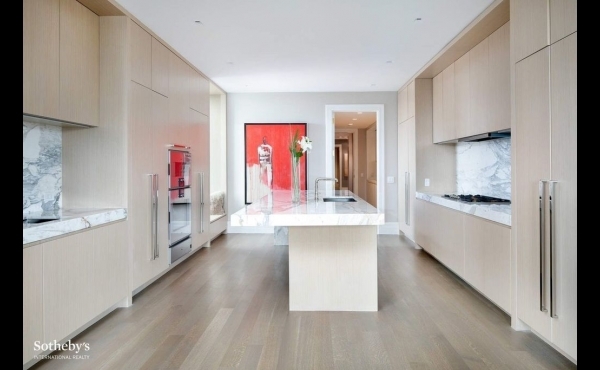 212 Fifth Avenue condominium is the unmistakable beacon on Madison Square Park. 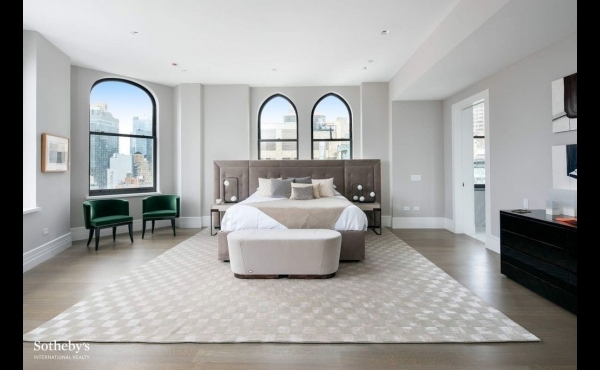 Amenities include: 24-hour doorman and concierge services, state-of-the-art fitness room, golf simulator, screening room, childrens playroom and more. 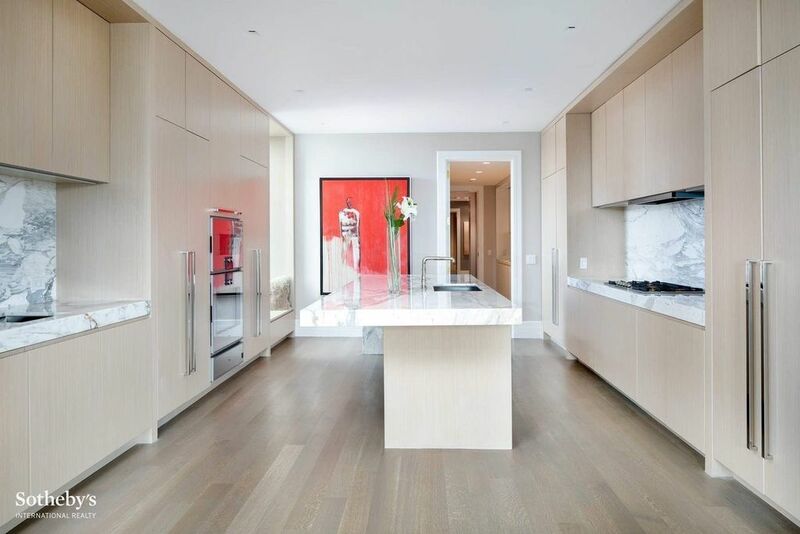 Staff quarters and storage rooms are available for purchase. 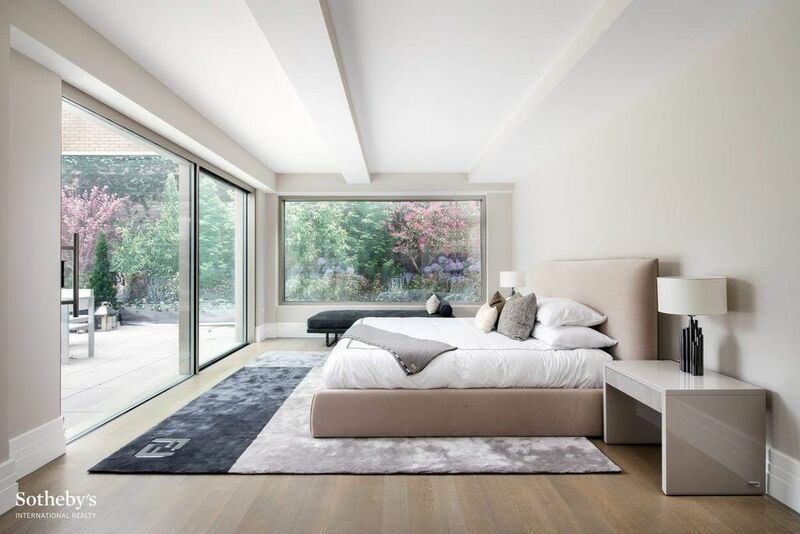 This is an opportunity of a lifetime.